Today 23rd April 2017 Gujarat State Examination Board(SEB) has conducted HTAT( Head Teacher Eligibility Test) for Head Teacher post in Primary Schools. 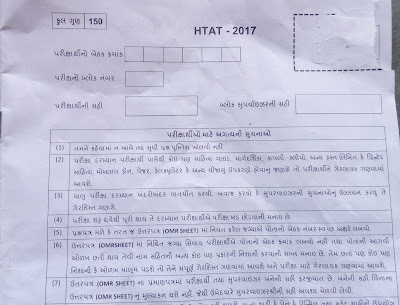 large numbers of candidates have appeared HTAT exam all over Gujarat. 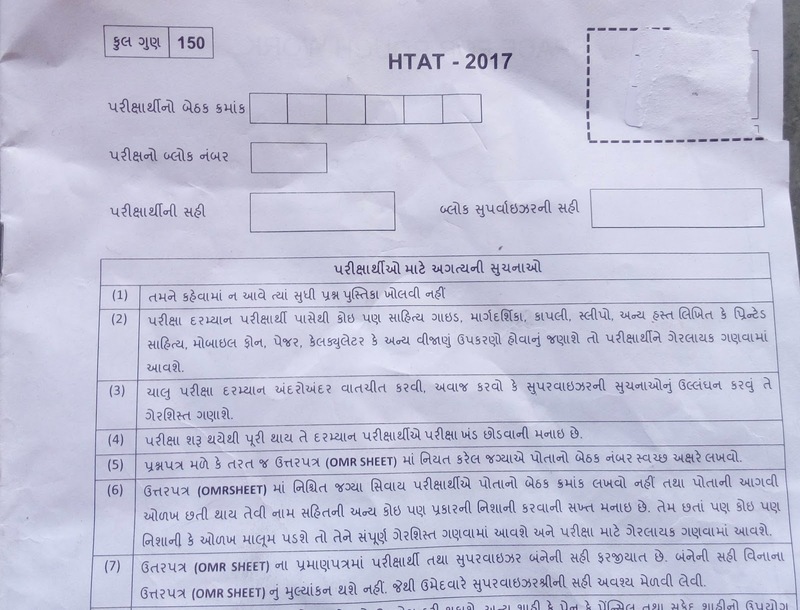 This Exam was conducted on six Exam centers of Gujarat state.Here is a question paper of Today's HTAT Exam.candidates should download this question paper for future refrence. Dialy visit our website www.ojasinfoindia.in for new updates.Here is also put Paper solution of today's exam but it is solution by other people. complete solution put will two or three days. HTAT Exam 2017 Provisional Answer key publish in few dys on Official website of SEB.